Register for Make it Happen! Swami Tapovan Maharaj of Uttarkashi was the “Source” wherefrom Swami Chinmayananda (The Founder of the Chinmaya Movement) acquired the Knowledge of Vedanta (Science of Religion). In a spirit of deep renunciation, the infinitely gentle poet in him saw Humanity and Nature as one vast “plant, needing only “Love” for its highest fulfillment. Intimate communion with Nature (while he walked peaks and valleys of the Himalayas for countless years), gave Swami Tapovan the boundless spiritual reverence. He revealed Nature’s secrets in two Sanskrit masterpieces, “Himagiri Viharam” and “Kailasa Yatra”. The masterpiece, without a doubt, is “Iswara Darshan”, which is an absorbing account of a search for the Truth. Its scientific clarity is subtle, because the treatise gives insight into how the saints of the East attain self-mastery. 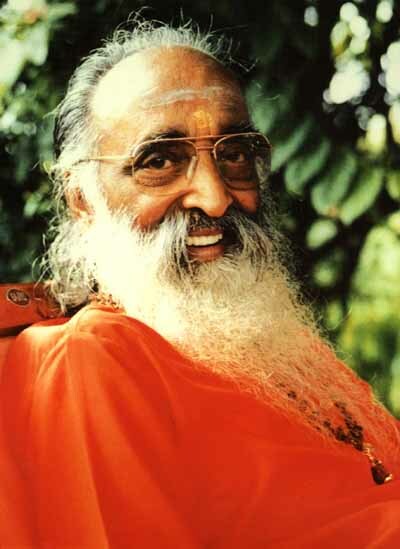 Swami Chinmayananda, or Pujya Gurudev, is the founding Father of Chinmaya Mission. He was one of the world’s foremost Vedantic scholars and one of India’s most respected spiritual leaders. A gifted speaker, Swami Chinmayananda built an intense rapport with his audiences and communicated the teachings with vibrancy and wit. He taught Hindu philosophy in its most ancient and purest form, Vedanta, as it has been passed on from teacher to student since time immemorial. Swami Chinmayananda began his study of Vedanta as a skeptical journalist, bringing with him the secular knowledge gained through degrees in science, literature and law. 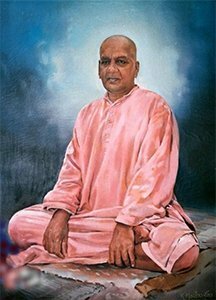 After spending many years in the Himalayas under the tutelage of Swami Sivananda and Swami Tapovanam, he started spreading the joyous vision of Vedanta, which was shrouded in rituals, secrecy and Sanskrit, to the inquiring men and women around the world. He also established schools, colleges, Hari Har Schools for the under privileged, old-age homes for the senior citizens, hospitals, clinics, temples, community outreach programs, in Sidhabari in the Himalayas, to name a few of the social upliftment programs. He attained Mahasamadhi in 1993 leaving behind a rich legacy for future generations. Swami Tejomayananda, or Pujya Guruji as he is affectionately known, stands out as a teacher who is eloquent yet humble, putting into practice what he teaches as the right way of living. The spiritual call came to him in 1970 when he heard a Geeta discourse given by Swami Chinmayananda. 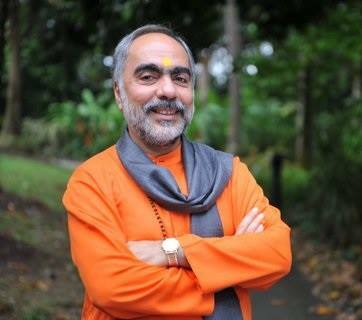 He was inspired to join the Vedanta Course at Sandeepany Sadhanalaya in Bombay. On graduating as Brahmachari Vivek Chaitanya, he served the cause in the field for a few years. Then he was posted at Sandeepany Himalayas as Acharya and conducted a Brahmachari Training Course in Hindi. 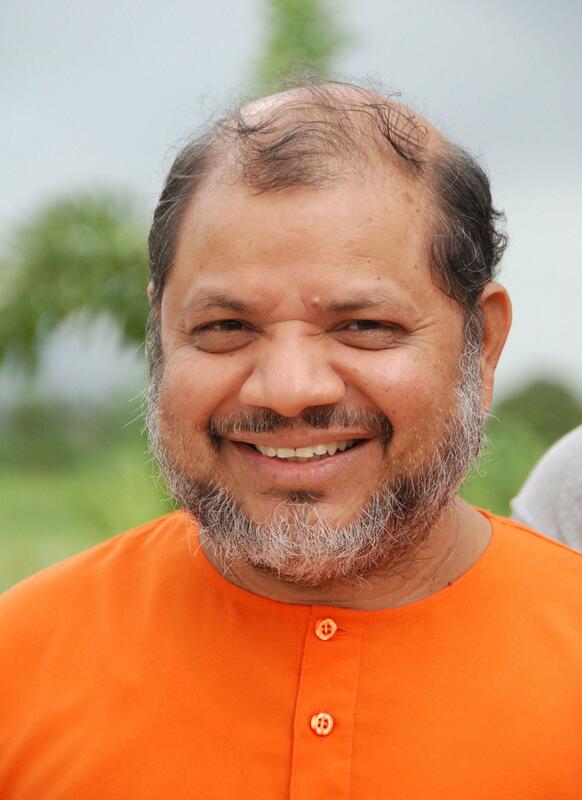 In 1983, he was initiated into Sannyasa by Pujya Gurudev and came to be known as Swami Tejomayananda. 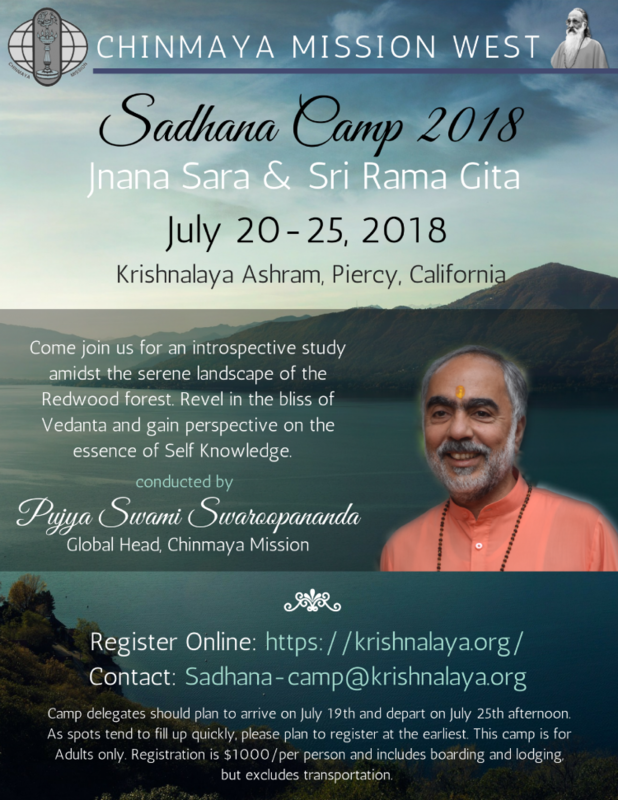 Every summer, Pujya Guruji, Swami Tejomayananda visits Krishnalaya and conducts a week-long camp on a classic Vedantic text. About 100 adults are privileged to stay on-site in the Ashram setting while being in Guruji's presence. 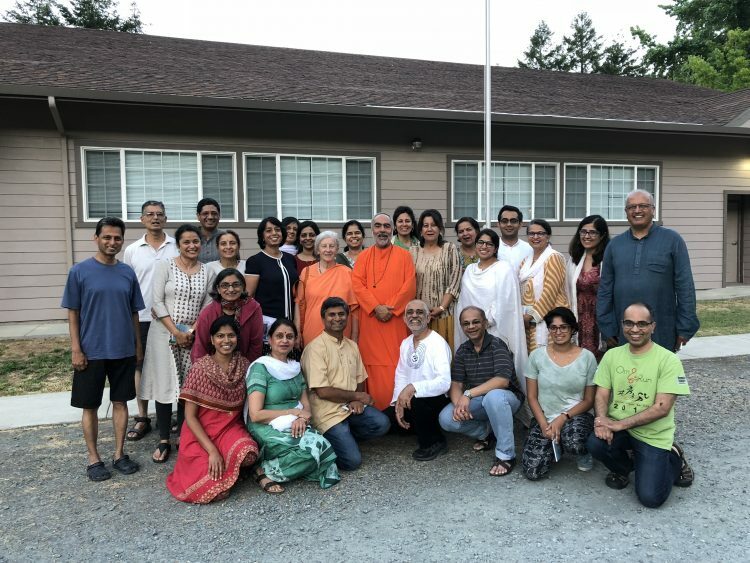 Every Thanksgiving Chinmaya Mission San Jose conducts a residential camp at Krishnalaya. The text and acharya varies every year. Check out this website: CMSJ for more details. 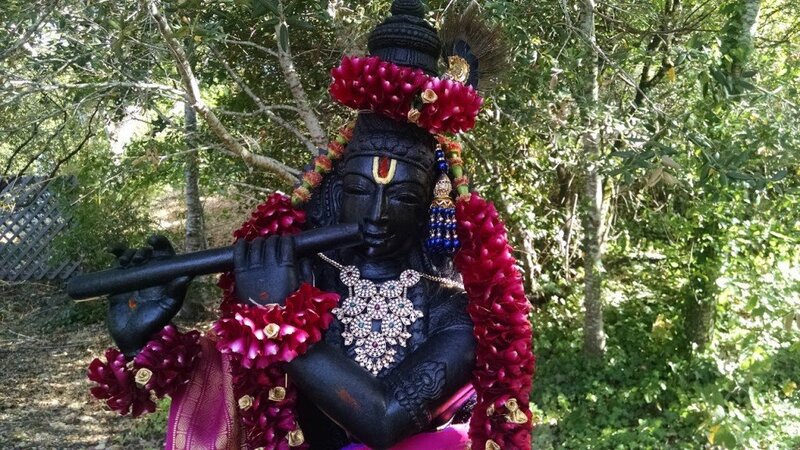 If there is no Chinmaya Mission event taking place, the ashram is available for rent. 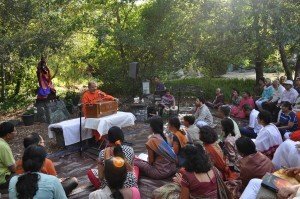 The ashram presently houses a beautiful 200-person lecture hall with air conditioning, a state-of-the-art sound system, a big screen television, and multimedia equipment. The ashram lodges 80 people comfortably and has a commercial kitchen, dining hall, satsang hall, and temple shrine. Residential fees vary. The kitchen is fully equipped; usage is subject to additional charges. Outside groups are welcome. Groups need to have their own cooking and cleaning staff. Non-vegetarian food, alcohol, and drugs are strictly restricted anywhere on the property.